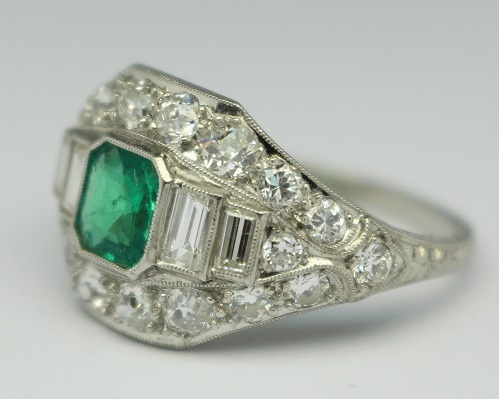 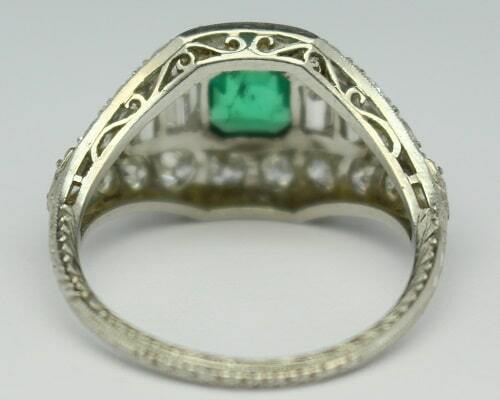 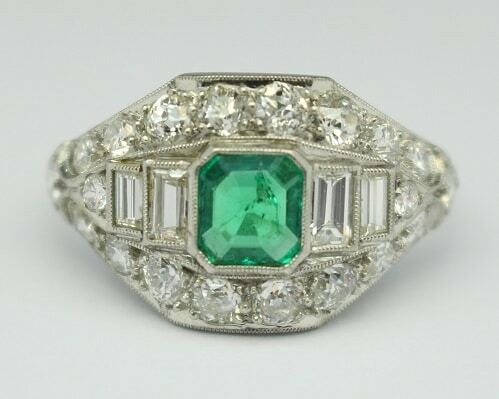 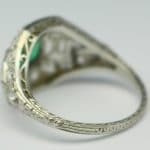 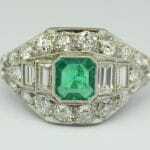 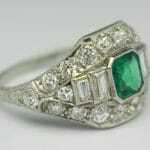 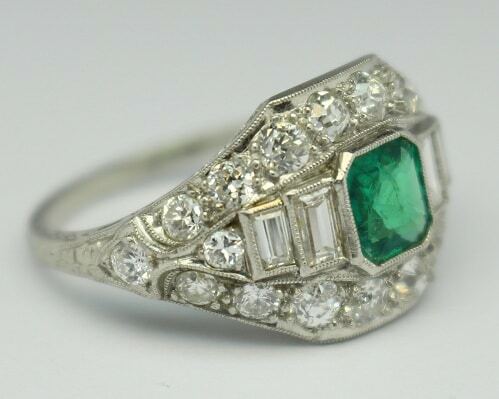 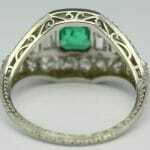 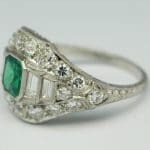 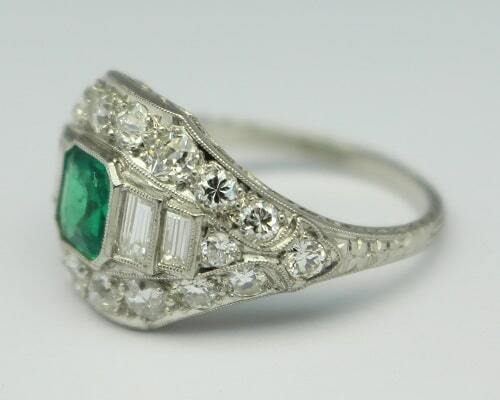 Emerald & Diamond Platinum Estate Ring. 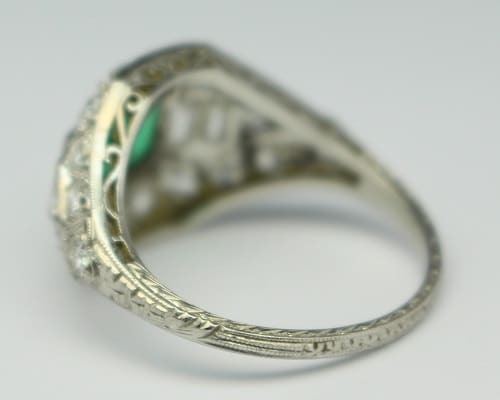 G-H color, VS clarity, Finger size 7, Gross weight 4.8 grams, Marked inside "10% IRID. 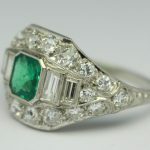 PLAT"
Includes original ring box from Clark & True Jewelers in Middletown, Connecticut.